What if our reality is just an illusion? I’m sure at some point in your lives, you have thought about the possible existence of an afterlife or a higher place. Many of you may believe in a particular God and a belief that we all go somewhere when we die. Likewise many of you may be atheists or agnostics and will simply believe that once our time is up, that could be it. But what if we go a step further and ponder the idea that we don’t really ‘exist’ at all. That what we see when we look around isn’t really there, or is not what we think it is. If you just pictured Keanu Reeves then I’m sorry to hear that. Yet who’s to say that we don’t live in a place that isn’t too dissimilar to a Matrix style world. What if everything we think we know is a lie? Look around you right now. Focus on the bright colours that you see and the sounds that you hear. Focus on the living and the inanimate, the big and the small, the great and the insignificant. Become present and clear your mind of any thoughts and just take in your surroundings for a second. How do you truly know that what you are seeing is really there? The colours that we perceive look a certain way to us but that doesn’t mean that my version of blue is the same blue that everyone else sees. How can I be sure of that? Likewise, how do I know that the sounds that I hear are the same as what everyone else hears? The same goes for our other senses. I mean, we immediately believe that we experience the same things. How different can a rock look? Let’s up the ante a little more and suggest that this world doesn’t have 7 billion people like we are led to believe, but it actually only has one person. What if you are the only person that actually exists in this world and that everything else is merely set up for you and you alone. Every other person is either in your mind or part of an elaborate simulation. Humans are perhaps the only living things that have true self-awareness but that is all it can be. We cannot be aware of what someone else is experiencing. We cannot look at the world through their eyes and see what they see. So how can we be sure that everyone else is just like us? More importantly, what would the implications be if this were true? Like I discussed above, the world we live in COULD just exist in your head. We can’t know for sure that anything is real and we have no way of ever finding out. This theory seems baffling to most sane people as just imagine the processing power needed to simulate the existence of everything you have ever known. Yet it is widely theorised that there are more neural pathways in our brain than there are atoms in the known universe. I’m no genius but that is a lot of atoms and it seems plausible that our brains alone could create and maintain the complexity and depth of the world that we perceive around us. If you have ever had a lucid dream then you will know first-hand that it is possible to create a truly lifelike experience without being conscious. Our brains are that powerful and do we really know how much of what we experience is real or a figment of our imagination? 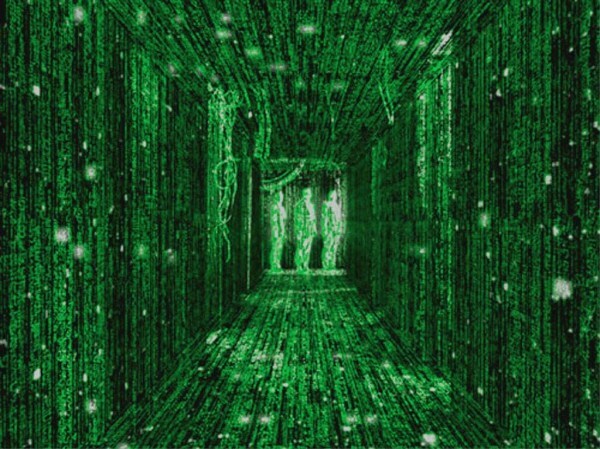 Now let’s flip to the other side of the coin and imagine that it isn’t our brains that are creating the universe, but we are inside a hugely detailed and complex simulation not unlike what we saw in the Matrix movie. In this scenario the world had already been created and we are merely role playing inside of this virtual world. If either of these scenarios were true, that would simply mean that nothing we did mattered. Our fears and anxieties don’t actually exist and we are free to do whatever we want. Imagine that there is another world just like this one where we took on different life choices that led us on a different path altogether. Or maybe there isn’t just one world, but an infinite amount of parallel worlds with infinite different versions of each and every one of us. Unfathomable but according to some leading physicists, this is definitely a possibility. There is a theory that ten different dimensions exist and while we live and experience life in the third dimension, from the fifth onwards, different pathways open up allowing for the possibility of multiple worlds. Now this opens up an interesting question. If there are indeed parallel worlds and every possible situation has either happened or will happen, are we the instigators or merely participants? If I make a decision right here in our world, is there another world where another version of me made the opposite decision. When I wrote this article, did another version of me decide not to write anything? Or did they just write something else? It would be nice to think that I am the God to all other versions of myself. That I am accountable for all the others and that they are reacting to whatever I do. But, it could equally be possible that I am just another one of the infinite versions of myself reacting to the ‘original’ Jamie. If that were to be true then obviously I am not in charge of my own destiny and therefore I don’t really exist in the true sense. I am just a pathway in the fifth dimension and nothing more. If nothing is as it seems and what we experience as reality is indeed just an illusion, then what would this mean with regards to our lives? Does it render everything pointless or is the opposite true? Can I then push the possibilities of what is possible in my current world? If somewhere another version of me is an astronaut or maybe a great inventor, then as I am made up of the exact same molecules surely I could do something equally as impressive. If the world I live in is just some kind of alternate reality, then I may well be bound by the rules of the ‘game’ but how I feel inside is a figment of my imagination as I am just reacting to what is around me. I can change my thoughts, my emotions and my path. Disregarding all of this, if the world is just what it appears to be. If everything is ‘real’ and we exist in the here and now, so what? The same rules apply. 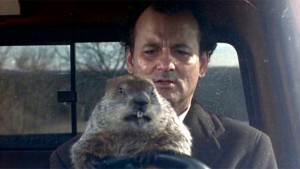 Think of the film Groundhog Day starring Bill Murray. In this movie his character as I’m sure you’re aware, kept living the same day over and over for 10,000 years until he learned how to be a better person. During this time he experienced pretty much everything a human being could possibly experience. What if we could shrink all those years down into a single day and just decide to do something new or make a decision that could change the path our life will take. We may as well, what’s the difference? Even if there is no such thing as true free will, we can at least pretend to have that power. We will never know either way. What we do know is that regardless of the reality we live in, we have a certain amount of time here, a finite amount of time that is counting down every second of every day. Who knows what happens when this timer reaches zero. Do we go somewhere? Do we wake up somewhere? Is that all there is? So what do you believe in? Does anything we do really matter? Is our reality as it seems? Is our reality just an illusion? If you have any thoughts I would love you to share them in the comment section below. Although this seems like a simple reiteration of solipsism, it does pose some new implications on the idea. Well written, but I’m curious as to why you indicate it’s necessary to live ones life in a way to where we act as if we have free will. And yes, I know I showed up to the party a bit late. Hi , I think about this stuff all day every day , alone , they’re questions that go round and round , then I comes back to if this is true (which I believe it is as I’ve kind of experienced it to be so , as to have to ask these questions in the first place ) than it doesn’t matter at all what I do, as I’m here alone creating my own reality , what if I’ve come across this web page because I’ve wanted to , it’s so matrix stylee, it makes me very very lazy too haha, as there really isn’t anything to do here …. Apart from loads !! Maybe, it freaks me out than thrills me , I watch form creating in my reality , then I witness law if attraction in fall, then I back totally in my thinking mind , it excites me really , as I new the whole time my mere exsistance that I once saw it as had to be something else , other yhan my own self inflicted pain and misery , where do we go from here ??? I feel exactly the same ..
Steve Pavlina also talks a lot about Theory # 1, he just calls it Subjective Reality. I am pretty fascinated by this. The only question that comes to my mind is if it’s just me creating you, your blog, your commentors among everything else, why would I take the pain to do so? Why 7 billion people? Why not 7? Or could it be that when it’s all you, numbers don’t matter? You could also ask yourself, why create 7 billion when I could easily create 70 billion? There are actually some ways you can prove solipsism wrong, the idea of only one consciousness and intelligence alive). And there are even multiple arguments against the theory. Also, why would that ‘consciousness’ make it possible for me, or you, to think about we being alone? That would be very unlogic, because if you would be, you wouldn’t really like to discover, I guess. I think if you would really be alone, or be in a videogame, of matrix-like program, it would not allow you to think about it or doubt about you being alone or programmed etc. So I think it’s more the idea which is frightening, but the idea itself is pretty unlogical.